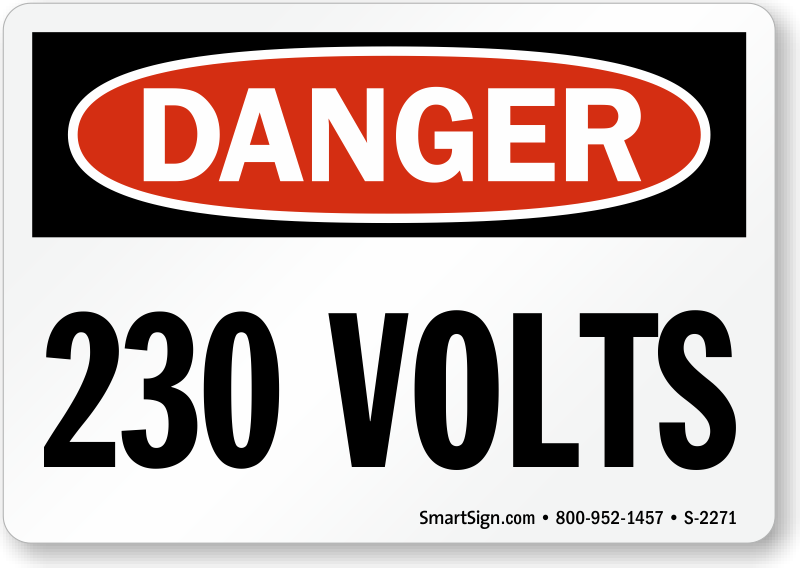 230 Volts signs help in quick identification of electrical equipment. Snap on voltage markers to quickly identify power sources and its voltage. Voltage markers are useful for conduit and cable identification, power lines, fuse boxes, bus ways, switches, and outlets. 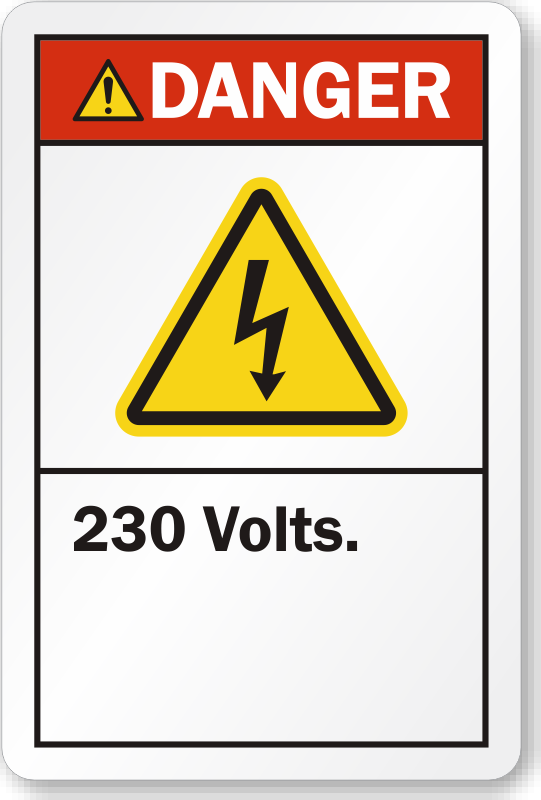 • Snap-on voltage markers are made of pre-coiled semi-rigid vinyl. • Markers are printed on 4 mil thick vinyl and supplied with permanent acrylic adhesive backing. 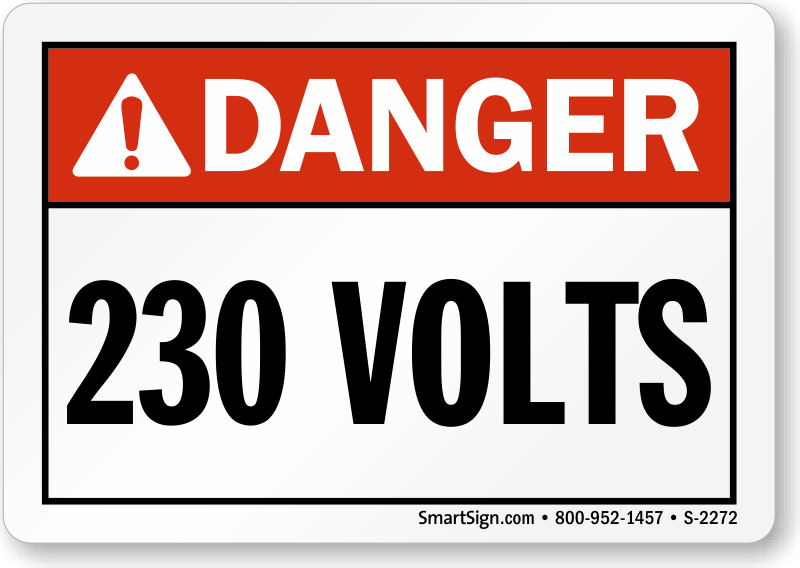 • ANSI compliant 230 Volts signs available.